Nadine Lia has undergone proceedings for misconduct. A lawyer who is reportedly set to be appointed magistrate, Nadine Lia, has undergone proceedings for misconduct. The proceedings by the Committee for Advocates and Legal Procurators, within the Commission for the Administration of Justice, were over altercations in court in 2010 between Dr Lia and opposing lawyers. The incident was reportedly described by presiding Judge Michael Mallia as “shameful” and “appalling”. Dr Lia has been under the media’s glare since The Malta Independent on Sunday reported last November that she would be appointed magistrate. Last Wednesday the Times of Malta named her as one of three lawyers heading for judicial office, along with three sitting magistrates set to become judges. These appointments seem set to take place before the government implements promised changes to the judicial appointments system that has been roundly faulted by justice experts (see below). Asked to deny or confirm that she would be appointed magistrate, Dr Lia declined to comment. Questions sent to Justice Minister Owen Bonnici via e-mail seeking verification of her nomination also remained unanswered. The media reports on Dr Lia have generated particular controversy because she is daughter-in-law of Pawlu Lia, personal lawyer of the Prime Minister and other Labour Party figures, as well as the Prime Minister’s appointee on the Commission for the Administration of Justice. The grumblings in the legal profession have been that these multiple roles constitute conflict of interest that would become more problematic if his daughter-in-law had to become magistrate. Last month The Malta Independent on Sunday reported of a “number of lawyers” who “could boycott” causes assigned to Dr Lia if she became magistrate. They also claimed that they would take the matter to the constitutional court, a possibility that is not far-fetched in the aftermath of last December’s Venice Commission’s opinion on Malta. At the time, justice expert and co-author of the Malta report, Martin Kuijer, had told Times of Malta that the European Court of Human Rights often cites Venice Commission opinion in its judgements. That could work against Malta in potential cases after the Venice Commission wrote that Malta’s system of judicial appointments “falls short of ensuring judicial independence”. Confirmation of the proceedings at the justice commission is likely to generate more controversy. Two retired judges, speaking on condition of anonymity, expressed different sentiments: one said judicial roles are so sensitive that appointees have to be “as perfect as possible”; the other said that the courtroom squabbles that triggered the proceedings had been “hyped up”. Both added that consideration has to be given to the sanction, something that remains unknown – the law imposes secrecy on “findings” or “disciplinary penalties”. Louis de Gabriele, president of the Chamber of Advocates and member of the JAC (which evaluates candidates for the judiciary), said that the JAC “check if there are ongoing proceedings or concluded proceedings about any candidate”. Although Dr de Gabriele would not be drawn into talking about specific examples, he said that in any “breach of the code of ethics” the JAC would “look into the merits of the proceedings, the gravity of misconduct, and the time elapsed since it occurred. The sanction in itself is indicative of how serious the breach was, and whether it should be an impediment to a positive assessment of a candidate for the judiciary”. Dr Nadine Lia declined to comment on any question put to her, including questions about the proceedings and whether the case should impede her from judicial appointment. Contacted on the phone, she maintained that she is “a private person” who “does not comment to the media, on this subject or any other”. Until last week she was still engaged at the Family Business Office, where she is designated as the Regulator. She had been tasked with setting up the office after she had authored the Family Business Act, piloted through Parliament by Economy Minister Chris Cardona. 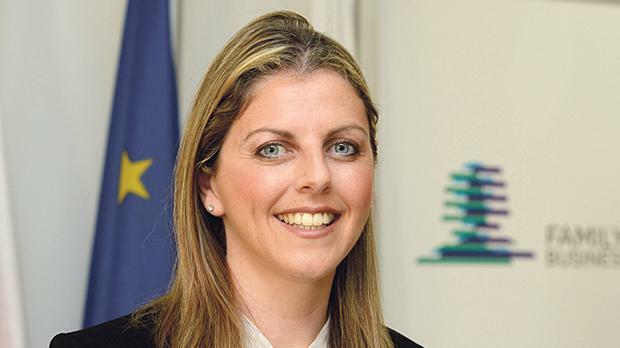 She also appears in MaltaCEOs 2019, a publication profiling 50 “leading” CEOs in Malta that is a collaborative effort of the Chamber of Commerce, Enterprise and Industry. In the article Dr Lia speaks enthusiastically about her immersive role in the Family Business Office. The Judicial Appointments Committee (JAC), set up less than three years ago to evaluate interested candidates for the judiciary, has been roundly dismissed for being comprehensively flawed. The JAC’s criteria for evaluating candidates are based on 10 broad principles – including criterions such as good communication skills in English and Maltese, knowledge of law and court processes, professional legal experience and familiarity with the code of ethics for the judiciary. The criteria is described as “good but rudimentary” by Kevin Aquilina, dean of Faculty of Law at the University of Malta. “It’s criteria that allow mediocrity instead of fostering excellence,” he added. The JAC has apparently been modelled on the UK’s Judicial Appointments Commission, set up 13 years ago to “select candidates for judicial office” on “merit, through fair and open competition, from the widest range of eligible candidates”. Rigorous evaluations are held after issuing calls for vacant posts. By contrast, Malta’s JAC evaluates candidates who come forward and registers those positively assessed. The Prime Minister retains absolute discretion on judicial appointments and promotions (from magistrate to judge). “The JAC’s selection procedure is bad because there is no healthy competition between candidates after expressions of interest are issued,” Prof. Aquilina explained. Another point of criticism is the JAC’s composition. The Council of Europe’s Venice Commission, Europe’s highest constitutional body, said in its opinion on Malta that “the Prime Minister should not have the power to influence the appointment of [the judiciary]”. The PN and Chamber of Advocates are broadly in agreement with the Commission’s findings and recommendations. The Chief Justice also said at the opening of the forensic year last October that he would like to see broader criteria in the JAC’s assessment. Asked to elaborate on his ideas, as well as what threshold of misconduct ought to preclude a candidate from judicial office, he wrote in an e-mail that “you will be receiving a relative reply from the Office of the Minister of Justice”. The spokesperson for the Justice Minister did not provide any replies. Justice Minister Owen Bonnici has publicly promised to implement the Venice Commission’s recommendations at an unspecified point in the future, but has not ruled out additional judicial appointments until the selection mechanism is overhauled. The report in The Times of Malta of six impending new judiciary appointments has now intensified the mutterings in the legal profession that the government seems set to continue using the flawed JAC as a pretence of legitimacy for additional appointees of its choice. “When no competition takes place, it would be difficult to make choices on merit and the final decision would have to be left in the discretion of the Prime Minister,” said Prof. Aquilina. “It’s a system that’s unfair to the Prime Minister as it places too much responsibility on his shoulders, as well as the selected candidate, as the perception is that the choice was made on the basis of political patronage and not merit.